When you claim Feed in Tariff an Energy Performance Certificate (EPC) is required showing that your property has an EPC level D or better at the time of your application to get the standard rate of FITs. If your property is a band E or less when you first apply for FITs then you will receive the FIT at the lower rate. Note that even if you improve your property’s EPC level to a D or higher at a later date you will still get the lower rate. 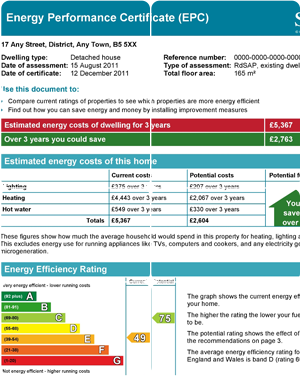 If your property does not yet have an EPC we can arrange this for you. In practice we have found the large majority of properties are already a level D or better. If this is not the case then making some improvements to the property to improve the rating before you apply for the FiT would be beneficial. Often this may just be a case of changing of bulbs to low energy type, fitting thermostats to the radiators or increasing the insulation in the roof. 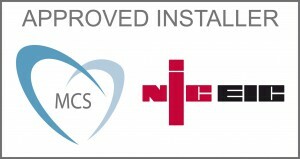 The fitting of a Solar System will in itself will improve the EPC rating so sometimes the property would be re-inspected to ascertain the EPC level after installation and before submitting the FiT application.